World wealthiest man says charity doesn't work— rejects pleas from buffet/gates to give away fortune. 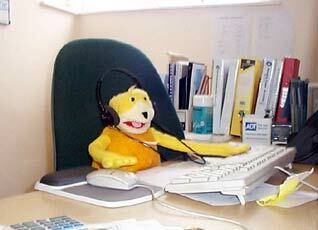 I was wondering if one could be taken off the street, with no experience, and taught to be a profitable trader. My father says no, with a few added conditions. He believes there's a genetic component combined with many early childhood predictors that indicate a propensity for success in trading. He cites games, sports, competition, and the willingness to accept risk as major predictors of success. He also believes that if one doesn't exhibit these characteristics by adolescence, it would be very improbable that one would become a successful trader later on in life. He also says that mentors are not enough if you don't have a "fire in your belly." My uncle, on the other hand, says he could take a monkey off the street and teach him how to trade successfully within a year. What do you think? I think the question becomes can you teach creative thinking, self-motivation, self-discipline, courage, patience, and self-confidence? If you believe that these can be taught (which I do, but it's not simple or easy), then I believe you could teach someone to successfully speculate. Good ideas and opportunities abound in speculation and are recognizable to many people, and the mechanics of trading are fairly straightforward. But actually implementing them and managing the risks are altogether something else. Also I think that to be good at anything you just have to do it — warts and all, and make the necessary adjustments as you gain experience. You would never be able to teach the things I mentioned above without a heavy dose of hands-on application. I agree that being good at sports and in particular at sports competitions is an indicator of predisposition to trading. Determination, ability to remain focused, to implement a game plan, to understand weaknesses and strengths, the self-confidence that allows to take reasonable risks with a winning attitude and so forth. However, that there is not only the "fire in your belly" component. I do not think that one can trade only by instinct or intuition. There are also analytical qualities that are more intellectual and less related to the guts. Can technology help somehow? However, if one is a great mind and finds certain market inefficiencies that a computer can exploit, does one need to have the great athlete's qualities? Those who develop successful algorithms need to to have the "fire in their belly"? I am not a trader so I cannot say for sure, but I tend to believe that mechanical trading can be successful. Besides that, if your father believes that he could teach a monkey how to trade in a year, I think I am better than a monkey and if he wants he can try with me! No doubt a few of you have heard of Dennis and Eckhardt… these days different rules, different times, maybe if there had been tasty markets for it, before the rules of ever changing cycles kicked in. I believe Richard Dennis has struggled to replicate his results. "Whether you agree or disagree with my book The Complete TurtleTrader it is one of the most unique "training" experiments ever conducted on Wall Street. It is the true story of literally taking novice traders off the street, injecting them with trading rules, and then watching millions be made. 25 years later it is also interesting to note which of the originally group thrived and which imploded. As far as the genetic component debate goes there are some great books out now about "talent" (see: "The Talent Code" and "Talent Is Overrated") making a very convincing case that success is far less genetics and much more about deliberate practice –which backs much of my research." I am looking for an online/disc source for AMEX daily total volume data from 1960 to present. I have looked in all the obvious places without success. Can anyone advise? Trying to avoid the laborious task of newspaper scavenging. The July 2007 issue of National Geographic contains an extremely interesting article by Peter Miller on "Swarm Theory". Swarm Theory attempts to quantify how individual actions of unintelligent individuals develop into the complex behavior of a group. The way ants or bee colonies work together for the good of the group is discussed in detail then how this can be applied to complex human/business systems. For instance, Marco Dorigo, a computer scientist at Universite' Libre in Brussels modeled ant behavior to solve logistical truck routing problems. One company specializing in artificial intelligence applies algorithms gleaned from the foraging activity of Argentinean Ants to manage industrial plant applications. Upon reading this piece, I immediately considered how these ideas can be applied to the markets, stock indexes in particular. The base factors appear to be similar regarding the unintelligent individual player/relative small group. (unintelligent in regard to the unknown future price movement). Complex group behavior resulting in the changing cyclical nature of indexes, etc. This is definitely something worthy of additional study. I have looked at this in the past reviewing such theories as flocking and how ants lay trails for other ants to follow (like the ants found in trees that seem to follow a perfect zigzag pattern). However, most animals have a rapid maturing process unlike humans and thus their environment has a smaller role in their behavior. It would appear that ants and bees act according to pre-programmed genes and evolve over time as laid out by Darwin. One area of interest to me has been how birds act as a group with group coherency and no need for a formal leader of the pack. I would think this may be similar in the markets as the smart money is the one that makes the most noise and pilots the crowd in its direction of change. It seems candle-charting technique may soon be of little value, if it ever was, due to the advent of electronic markets. I say that as the "seamless" markets we now have are losing a "true opening' as prices close in the pits, then open a few minutes later. Hence, there are no gaps between the close and opens as we once enjoyed. Since candlesticks operate on the sole basis of the opening and the close, to form the body, the new electronic way of recording price movement totally redefines the spirit as well as the body of candlestick charting. I guess Nisson, et al, will have to file a habeas corpus with the exchanges or devise some new glitzy charting technique. Many intra-day traders use candlestick charting. In fact it's the default style on most software packages. I believe your idea applies to daily candles only, wherein the open and close of an intra-day candle are based on a chosen timeframe and not the exchanges. I know many traders use candlesticks, intraday, but there are two problems there. 1) What time period is best in electronic markets where for hours nothing happens and then all four alarms go off? The solution is to not use time-based bars. But then what do the candles mean? 2) More important, when I test candlestick patterns most all of them have no predictive value. The sells are better as buys and the supposed best buy, engulfing bullish, is not even as good as a placebo pattern. Since putting this view forward in an article in Futures Magazine 16 years ago, I still get the same answers in testing these patterns. They may be a great art form, an adjunct for trading to use in consideration of other factors. But my research does not support using them on their own. I am open-minded to all research of these patterns. There is some literature out there purporting they work. Read and test as I have, however, and I think you would disagree. What time period is best in electronic markets where for hours nothing happens and then all 4 alarms go off. The solution is to not use time-based bars. But then what do the candles mean? This has always been true to an extent. Those who only use time-based measures have been at a disadvantage. It's just that now it's getting worse. 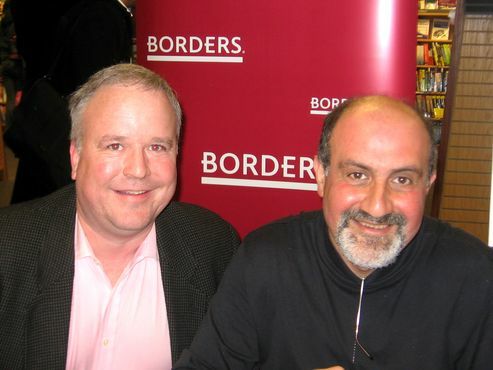 Last night I attended the launch party for Nassim Taleb's new book, The Black Swan — The Impact of the Highly Improbable. The event was well attended with approximately 120 people. The audience included several heavyweight quantitative people such as Dr. Emanuel Derman. It was well-orchestrated compared to the madhouse of George Soros's signing event, which I attended earlier in the year. Little touches like serving Black Swan wines as a marketing tie-in added to the friendly, collegial ambiance. The jovial crowd appeared to consist of academics, young suits, and book types. An animated and vocal Nassim took the stage, first stressing that his new book was not about finance, then admitting that he does not like the subject and finds it exceedingly boring. In true Nassim fashion he began by ripping on history books, saying most historians are full of beans and not to take any history book seriously. He added that historians and stock analysts are similar. During his speech, he raised the following question, "How many traders are in the room?" Sitting near the back of the room, we counted perhaps eight hands — I was expecting a much larger representation of the trading community. Nassim then jumped into the issue of retrospective distortion — using the recent Virginia Tech shootings as fodder for his idea. By retrospective distortion he meant the way humans tend to evaluate and make sense of matters after the fact, constructing an orderly event in hindsight. The more significant things he talked about included his belief that experts do not exist in complex domains, that using cumulative advantage loops and preferential advantage concepts is not a proper way to conceptualize black swans and, perhaps his most interesting statement, that all design has its genesis in randomness — the implications of this idea are profound. He elaborated a little on several topics, then opened the floor up for questions. Not surprisingly, the first question focused on Malcolm Gladwell's New Yorker article . He was visibly annoyed and without delay stated that the article was an example of a "false narrative" — another concept he talks about in the book. He said that the article worked wonders for selling his book, but for the wrong reasons. However, he made it clear that the right reason for buying his book was boring. Nassim then quickly moved on to the next question. He fielded questions about the central aspect of his new book, claiming that the Normal and Gaussian distributions are frauds, primarily because probabilities drop when moving away from the mean, while with Mandelbrot's variations this does not occur. He then was asked several specific financial questions, which he politely dodged and commented that he does not know what the next Black Swan is or how to predict it. Time was up and the book signing began — several of the audience members carried a dozen or more books for his autograph. Not sure if they were for resale on eBay, but I'll monitor for a bit to see if they end up there. Nassim was very energetic and his occasional irritation was short-lived. He dropped the F bomb on several occasions, quickly changing to proper words with a chuckle — not sure if this was done purely for effect or if it is his natural vocabulary. His lively delivery and friendly demeanor made it an entertaining and unique evening. My initial impressions of the book, after a cursory read, are that it appears interesting, well documented and entertaining. I'm looking forward to further reading this week. The Proliferation and Growth of Guru Culture, by Dave G.
Gurus have always found fertile ground in the financial markets. The early 20th century brought us esoteria like Gann and his geometric lines combined with astrology. It also supposedly brought common sense gurus like Livermore with his simple rules and pivot points. 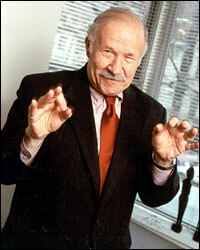 Later on in the century, even more bizarre market seers arose, and Joe Granville comes to mind. One of my earliest memories of the market is reading about Granville promoting his "Books of Granville" dressed as the Biblical Moses. In fact, my first hands on exposure to the market was after I met a financial astrologer while fishing back in 1990. He claimed to have called the crash of 1987 and profited wildly by buying way out of the money OEX puts with his college fund. He became obsessed with repeating this feat and astrology in general. I remember his purchase of J. Paul Getty's astrologer Evangeline Adams library containing all types of esoteric tomes. Needless to say, to the best of my knowledge, this story does not have a good ending. 1. The plain talking regular Joe: This type claims to have been just like you, prior to finding the holy grail, which due to his altruistic nature will share with you for a small fee. 2. The Esoteric Intellectual: This type of guru was never like his followers existing on a higher plane. However, he is generous and is gladly sharing his knowledge for a stipend of what you will earn by joining his flock. 3. The Mystic: This type, although related to #2, is very different. He claims supernatural chart reading ability and general future reading skills. My contention is that this recent proliferation of market gurus is an indication of a near short term top. The last of the public is being drawn in to lubricate the machine for a rapid descent. The only unknown is when.